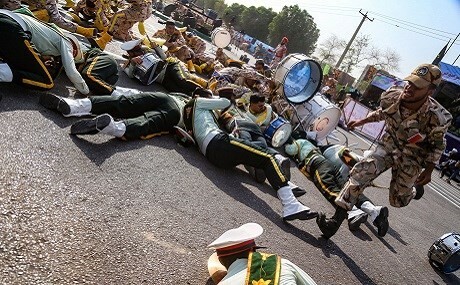 (VOVWORLD) - The ISIS media agency Amaq on Sunday posted a video on social media claiming to show the perpetrators of Saturday’s attack on an Iranian military parade which left at least 29 people dead. In the video, three men in a vehicle, dressed in Iran's Islamic Revolutionary Guard Corps (IRGC) uniforms, claim they are on their way to attack an Iranian military parade. One of them speaks in Farsi, while the other two speak about jihad in Arabic. The same day, the IRGC accused the Persian Gulf Arab states of supporting the attack and said it will carry out “a deadly and unforgettable revenge”, adding that it has full knowledge of the perpetrators’ whereabouts. US Ambassador to the UN Nikki Haley said the US condemns the attacks and isn’t attempting to effect regime change in Iran or any other country.